When Italian diplomats who spent time in Poland in the 15th century wrote about Polish food, they complained that it was based mostly on meat and many said that – One Pole eats as much meat as 5 Italians. Tomatoes and many other vegetables were brought to Poland in the 16th century by the Italian chefs who came with the Italian Princess Bona Sforza who married the Polish King, Zygmunt the Old in 1518. Many of the names of vegetables in Polish have Italian roots. To this day, soup greens* are known as włoszczyzna or “Italian stuff”. Włoski is the Polish word for Italian. Some writers say that vegetables other than cabbage and root vegetables were virtually unknown in Poland until Princess Bona introduced them, and her cooks helped to bring in the use of vegetables in royal Polish cuisine; however records show that the court of King Jagiello (who died in 1434) enjoyed a variety of vegetables including lettuce, beets, cabbage, turnip, carrots, peas and cauliflower. *Soup Greens is a phrase found in American cookery writing – I have not really seen it in British writing. Soup Greens are a vegetable stock basis for soups and other vegetable or fish dishes. (They are also the vegetables that are used in any casserole type dish). In German they are known as suppengrün and in French mirepoix. Often in Poland (and yesterday in my local Polish shop in England) you can buy a ready mixed packet of the vegetables needed. Place all the ingredients in a large pan with water. Bring to the boil and cover. Strain the vegetables from the liquid. 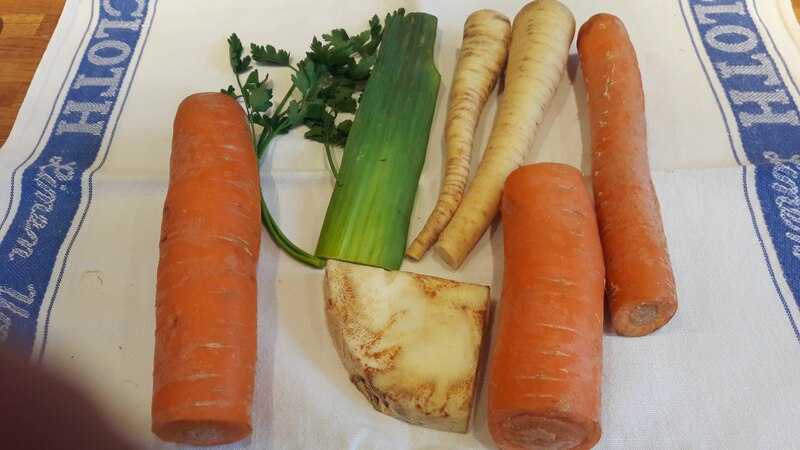 If this is being made for a soup that day, then some of the vegetables such as the carrots might be sliced and added to the soup. The liquid is kept in glass or plastic containers in the fridge for another time. Marigold Swiss Vegetable Bouillon Powder. 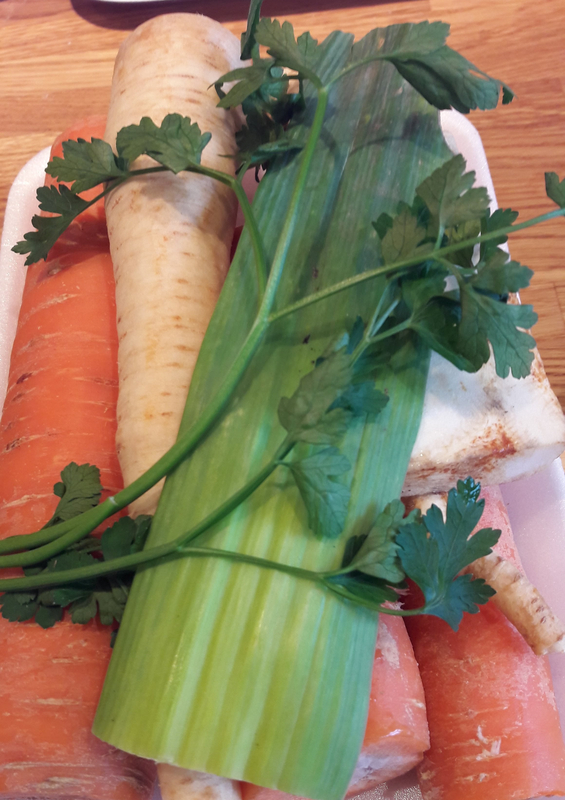 This post was written in preperation for the huge topic of Soup in Polish Cookery!